A VIP exclusive trip for smaller groups (2-6 people) A unique opportunity to really indulge in all the most beautiful experiences Bohuslän has to offer. You are now in charge of the boat and the skipper for 3 days. We start our journey in Gothenburg and head north stopping at selected places along the way. Then overnight stays at three different hotels chosen specially for their excellent west coast cuisine and most often good spa facilities. The time of year, the weather conditions and your own special wishes will indicate which hotels in which ports are best for you. Our skipper will keep you informed and guide you through all the places we pass and stop at. 10.00 Depart Gothenburg. 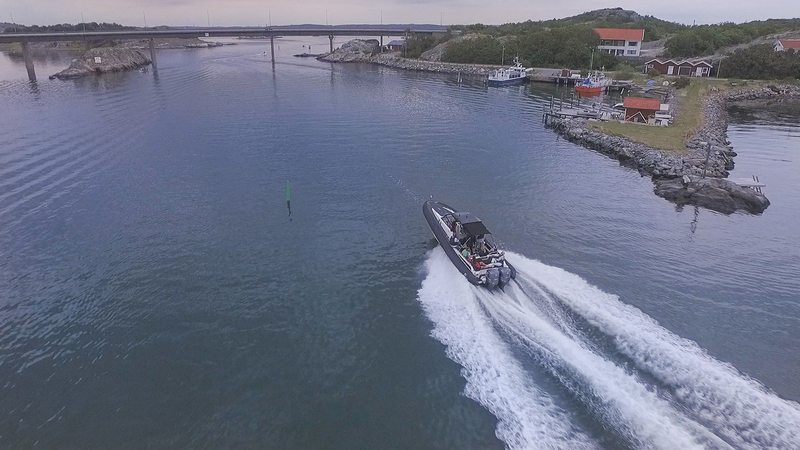 We head north through Gothenburg’s archipelago, stopping for lunch and a stroll on Marstrand. 14.00 We continue our journey towards Klädesholmen and there we check in at Sweden’s only floating hotel – Salt & Sill, for our first overnight stay. We dine in their own renowned restaurant. 10.00 After a sumptuous breakfast buffet, and perhaps a morning swim, we climb into the boat and head north through cosy passages and picturesque fishing villages. Next stop is Mollösund where you can wander up to the old mill and be back in time for lunch at one of our favourite restaurants on the pier. 14.00 we set off out towards Käringön which sits further west out to sea . We will round Måseskär, with its iconic lighthouse, on the way here. At the end of our day we’ll check in at the Lotsen hotel in the middle of the harbour, take a stroll around this wonderful island at your own pace and start to look forward to dinner at Peterson’s – one of Bohuslän’s very best pub restaurants. 10.00 The last chapter of our voyage takes us towards Smögen. We will pass Gullholmen, Grundsund, Bohus Malmön and other fabulous famous fishing communities and rest at a suitable lunch restaurant to eat. Finally, we will glide in to the well-known harbour at Smögen where we’ve booked a night for you at our favourite spa hotel, Smögen’s Hafvsbad, which we think you’ll enjoy very much on your last night. We say goodbye to Pandora and we have a minibus waiting to take you home to Gothenburg.